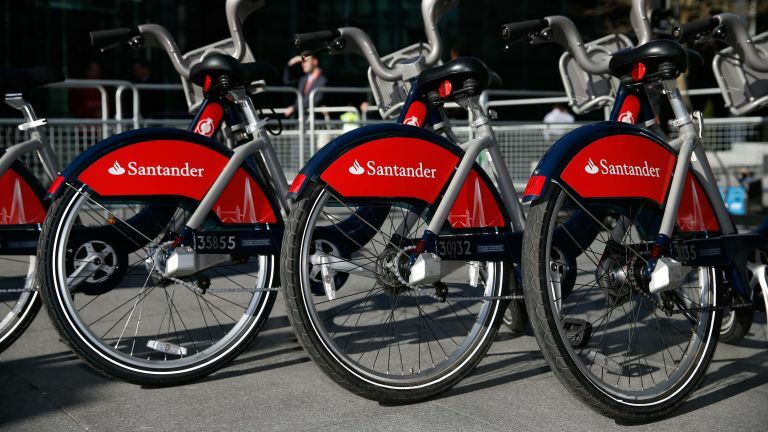 London's Boris Bikes have gone red due to a new sponsorship deal with Santander. But they've also got a new app that makes it easier than ever to hop on and pootle around town. The main selling point is the fact it sends bike release codes straight to your smartphone. In other words, you won't have to use the docking station terminal, just type in the code to the docking point and take your bike. You'll have to register a bank card first of course. Each code is valid for 10 minutes at your chosen docking station. Other than that, it does pretty much what other apps have down before. You can see up-to-the-minute info on which docking stations have bikes, so you'll know where you can pick one up and – crucially – where you can drop one off. There's a map, so you can plan your journey before you set off and not waste valuable time. You can receive notifications like a summary of the cost at the end of your ride, and see your recent journeys and charges. If you're in for the long haul, you can also buy an annual pass through the app. The app – called Santander Cycles, rather than Boris Bikes – is out now for Android and iOS, and is free on both platforms. It looks identical on both. It's about time the cycle hire scheme got its own app. It launched back in 2010 with a key fob, but the terminals soon started taking card payments, rendering the fobs redundant. Now, all we need is a version for the Apple Watch and Android Wear and we'll be laughing.